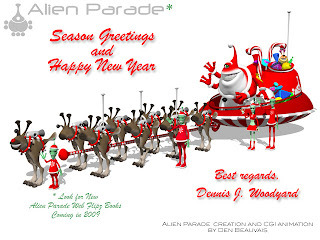 Happy Holidays Greeting to All! Here's two more recent Youtube posts of mine. The first is my 2nd sound sketch. Empty Morning is a original instrumental I wrote, played, and recorded (with over duds) on a nylon string guitar in 1982. The visuals are just to give music something to play to. 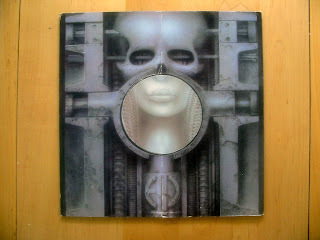 The second, is a cheap way of plugging an auction on Ebay. I selling a Halo 3 Plasma Rifle laser tag on Ebay and to sweeten the pot I'm offering a Dragonfly Halo 3 Game Flipz Mini-Book as a FREE EXTRA BONUS. This one of only 4 made, and your only chance to get one. I have included a new HD version of the flip book movie to give you better view than the original movie, such over 59,000 views and many requested to have it. Remember it's FREE with the winning bid. 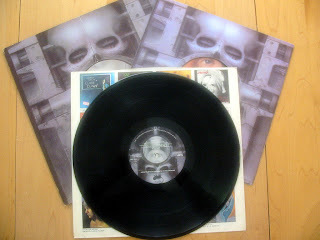 It a true, exclusive, collectible. Don't miss out. I just post three new movies on my Youtube page. Two are of Dragonfly Flipz Books and the other is my first music video of "Wraped Sky Band Music". November Night is one of our favorite original tunes, which I wrote. This was actually the first time all three of us played it together. Richard, the flute player, and I had work on it before. I always loved the way we did a "stop time" pause near the end of the tune. It was performed before an audience of one, Joyce Benitez, my girlfriend at the time, at her apartment. Fun was had by all, so before the cassette tape totally rots away, I thought I'd share with with the world. (At the risk of making a complete fool of myself...well, too late now) Enjoy. The Iron Man - War Machine Comix Flipz book (concept demo) was done several years ago, long before the movie was started. 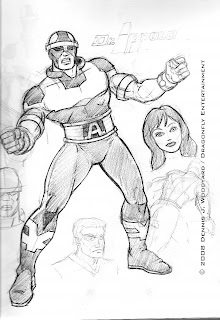 It's made from a test clip from NIC Entertainment, an Korean animation studio did as a demo for Marvel. I wish I have the full clip to show, but I return the demo tape to the friend who lend it to me. The NIC did the art for the War Machine graphic novel released under Marvel Comics' MAX Comics imprint. Maybe I get to make some more, if Marvel is interested. The Halo 2 Dragonfly Game Flipz Mirco-Book is the first Halo Flipz book I did originally as 5" x 7" book. This time, I shrank it to trading card size, just to see how small this flip book format would work. Actually it worked pretty good. Still, without a licensing deal I can't produce them. I was really sad to read the news of Miriam Makaba passing. She was a truly remarkable person. If you don't know about her, do yourself a favor and read this obit from the NY Times, then search out her music. Miriam Makeba - New Times Obit. 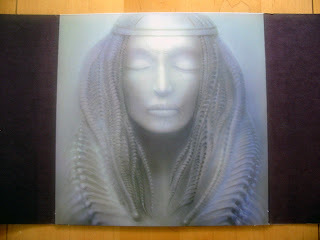 I remember my oldest sister playing Miriam's album featuring "The Click Song" back as a teen in the '60's. It's a warm memory for me. 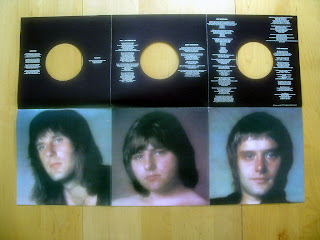 But, also it was probably my first expose to world music. I could never figure out how she did that vocal. Check out the youtube clip. The power of her songs will live forever. May she rest in joyous peace. I'm not big on political posts. That said, I barely held back the tears at the news of the Obama win. On Election Day, my wife and I took our boys ("mixed-race" kids) into the voting booth with us. I wanted them to share in this milestone, with the hope that maybe, in their lifetime, the whole "hyphen-American" labels will disappear. We, all Americans, did "win". Like-minded people kept the Dream of Martin Luther King alive and made it a real, every day, element of their lives. We kept the "Faith" and lived to see the seeds of our efforts, and the efforts of all those who came before us, bear fruit in our grown (and growing ) children. This isn't a victory for a single Black man, or racial group. That is much too narrow a view of what this election victory stands for. I think Barack Obama won on "the content of his character", which, of course, is a turn on the famous line from the Martin Luther King's March on Washington speech. Born in 1950, I have witnessed and lived through many historic moments of the last (almost) six decades, with a mixture of proud, happiness, pain, and shame. Examine any piece of American, (or World History), and you'll probably feel the same range of emotions. The two basic personal beliefs I hold: 1. There is only one Race on this earth , the Human Race, a Family of Man, dysfunctional perhaps, but still just one tribe. 2. I'm an proud American. The greatness of the United States of America is in the concept that's embodied in the words "We the People..." America is place where all earth's children came together and shared, learned from each other, and they choose to become "real Americans". Some came by choice, some by desperation, some by chains. Our dark times, were when we choose to exclude fellow human beings for petty, evil, reasons. Our brightest moments are times like this election when inclusion is the order of the day. Barack Obama was a magnet that drew new young voters into the system and older voters, who may have lost faith, back into the system. For that act alone, he is a winner. The question of will he succeed as President is misleading. The real question is will we succeed in helping him perform to the best of his ability? Do we support his platform of change with positive actions, not just words? Challenge his ideas, we may oppose, in a respectful, thoughtful, constructive manner or tear him down at the first misstep? It's our choice. I look forward to better day and I will do my best to help achieve them. There is hope for the future, again. I'm so grateful I lived to see this day. This is my Dragonfly Toon Flipz mini-book of the first Star Wars Clone Wars "Series Preview Trailer" released last year. 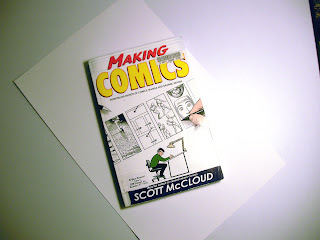 I made this concept demo book and sent it, with a proposal, to show's executive producer at Lucas Arts. The proposal included mock-up covers for a Star Wars Force Unleashed and Fracture, upcoming Lucas Arts video games. I know the proposal was passed on to another (marketing) executive. But I never heard any more about it. 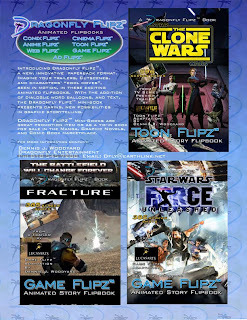 So, although two copies of my Clone Wars Flipz book is floating around he Lucas Arts offices, somewhere, I must assume it's a D.O.A.project. In any case, I'm posting it here (and on youtube.com, check out the high quality version for best viewing)) as a "Fan Movie" It's a "Concept Demo" and not for sale. If you like it, spread the word to other Star Wars fans and maybe email Lucas Arts. Your comments are always welcomed. I'm still searching for the "right eyeballs" to see the potential my Dragonfly Flip book format has. It is ideal for movie and TV tie books. It's like photo-graphic novel with motion. Viewer comments on youtube or other sites tells me there is an interest in my Dragonfly Flipz books, so I'll just keep trying. I'm going to try contacting Dark Horse Comics, again, as they are a big Star Wars licensee. Sent them a email, also if you like my Flipz Book. I'm looking forward to the movie opening this week. From the look of the latest trailers it looks great. So, far the animated versions have been top notch (maybe, they will for the episodes I, II, and III). I'll be post more video of other D.O.A. Dragonfly Flipz books. I realize I have back log of stuff the need the see the light, like a Hellboy Comix Flipz book set and Halo trading card size mini-flip book. Until then enjoy. Over on the Animation Nation board, member Dr. Hong, ask members to pass along this notice. "Who is Rocket Johnson?" is a 72 page graphic novel anthology being self-published by Walt Disney Animation Studio's Story Artists and Directors. 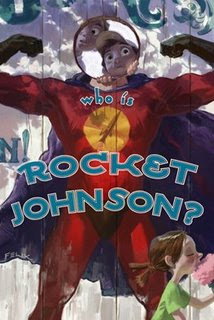 It's an all-ages book in which every artist answers the question: "Who is Rocket Johnson?" It will be sold exclusively at booth 2302 in San Diego (http://www.comic-con.org/) and is a limited edition of 1,000 copies. Please help us spread the word about the book and the auction!" It's my total pleasure to pass the word along. It looks like a great book and the auction is a real inspiring action. The ebay auction page includes several interior pages. Here's wishing the best of everything to the creators. I'll be missing the Comic Con this year, so I'll have to have a friend try to pick me up a copy. Enjoy, and pass the word. Here's my Dragonfly Comix Flip Book adaptation of a Paul Chadwick's "Concrete" story, "Watching a Sunset". Paul is one of my favorite comic book creators, really deserving of wider recognition. 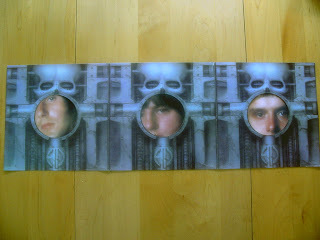 Concrete is Paul's best known work in a long and very creative career. There was talk of a Concrete live action movie at one time, I hope the success of recent comic book-based features jump-starts that project again. The Dragonfly Concrete Comix Flipz book is adapted from animation I did many moons ago. 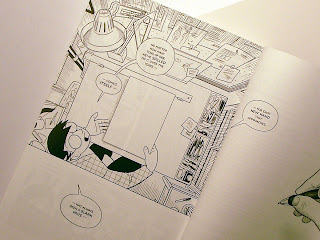 The original comic story can be seen at the end of the flip book. The original animation is stored on tape somewhere. I'll have to find it and post it sometime. The Concrete Comix Flipz book project, as a licensed product from Dark Horse Comics, got sided track somehow, but I hope to get it on track this year (with the fans help). Leave comments here, and at Paul's blog site (link at right) and the Dark Horse sites, if you want to see this finished. 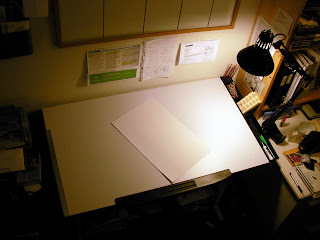 This project has a long storied history that I'll relate in a future post. For now just enjoy it. 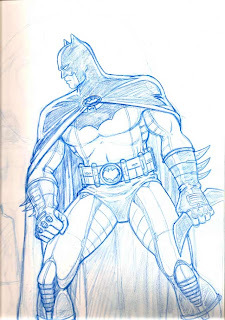 Here's a sketch book drawing to welcome this summer's Batman movie and animated DVD. I'm actually looking forward more to the anime styled Gotham Knight DVD than the movie. I wonder if other Warner Bros. properties will get this "Animatrix" style treatment. I'm not sure if that's a good, or bad, thing. The U.S. shows may come off looking childish and flat in comparison. Here's wishing everyone a Happy Father's Day (U.S. holiday). I enjoyed a wonderful day with my family. We attended a free concert at the Rochester International Jazz Festival (being held this week) and had a nice dinner out. 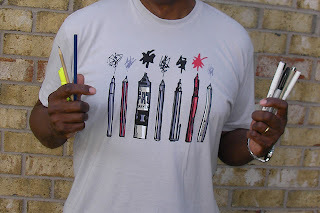 Best of all, they give me this cool t-shirt from Threadless.com. It's getting to be a tradition to get a t-shirt on Father's Day. It's much better than a tie. Last year's was a Snoopy "Joe Cool" shirt that read "Unathletic Dad". I loved and wore it to all their Little League games, just for fun. Hope all you Dads have a good day, too. I saw Kung Fu Panda this last weekend with my whole family, my wife and two boy (10 and 11 years old), and we all loved it. My most pleasant surprise is the was seeing the story co-credit of my friend Cyrus Voris on the big screen. I totally forgot he was doing a "Dreamworks project" a couple of years ago. Cyrus and I met in the '80 working on his first animation job as story artist and later scriptwriter for the Galaxy Rangers series. He is one of the many great, and talented, friends I made on that project. He's come along way since then. Recently he and his writing partner Ethan Rieff, created and wrote Sleeper Cell, the acclaimed cable series. Another added enjoyment in Kung Fu Panda movie was the great the 2D animation in the opening dream sequince and the ending credits. They've both been post on the web. If, Dreamworks does a TV series or direct to DVD, Blu-Ray, follow up, they should use the 2D style with 3D Po wrap-arounds. That would be cool. Go see Kung Fu Panda. You'll really enjoy. I just pick up a new sketch book and finally got around to drawing something in it. Doctor Apollo is a original character that's be knocking around my head for a long time. I don't have any great plans for him, but time will tell. 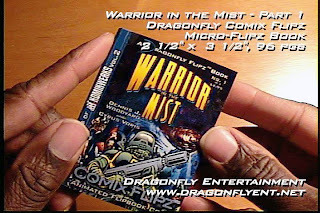 Here's my Dragonfly Flipz™ Micro Flipz™ book adaptation of my Warrior in the Mist animatic movie. This Dragonfly Comix Flipz™ is the latest version (format) of my Flipz books. The Micro Flipz is about the size of a trading card, 2 1/2 " x 3 1/2", great for custom promotional items. I'm going to do a post, soon, detailing the development of the Dragonfly Flipz™ format. That might help me re-focus on it's core advantage: presenting animators with a book format for their animated shorts and webisodes. Contact me for further info. This Warrior in the Mist Comix Flipz is available on my Ebay store page (listed at the bottom of this blog page). Buy it now, share it with your friends, and help me keep my Dragonfly Flipz™ project going. Here's my top ten Dragonfly Flipz Movies on youtube as of today. Just a frame grab showing the first eight movies of my "Most Viewed" page, totaling 103,957 views. I didn't included the Star Gladiator Game opening view counts. (You can click on the side bar to check them out.) The Final Fantasy XIII Game Flipz is still holding on to the lead, with Halo 3 close behind. I just want to thank all the people who took the time to view, and make comments, on my Dragonfly Flipz movies. Their interest helps keep me moving forward to this project. Look for more Dragonfly Flipz soon. I here the Metropolis Cinema Flipz Mini-Book I posted about a while back. It's a extended version of a earlier Metropolis Flipz book. Unfortunately, it seems the German rights owner (not Kino Video) is uninterested in my modest licensing proposal (after a couple of unanswered emails, and letter, I can take a hint). So, here it is for you pleasure, and here it will remain, for now. But, do check out the Kino Video version of the great silent movie classic. Their version is excellent.